This note card is perfect for saying thank you. 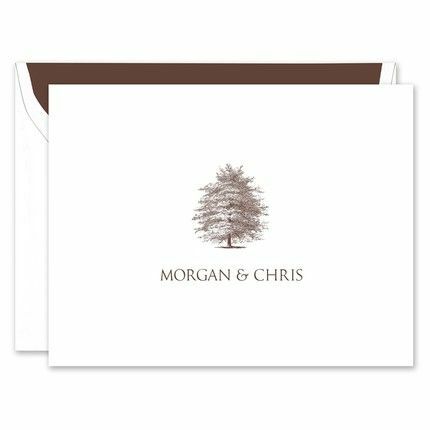 The front features a tree printed in the same ink color as your personalized text. The inside of the card remains blank, perfect for your handwritten message.